Neolith has received Gold Medal of the prestigious 2018 Edison Award™ in recognition for its Neolith + Pureti treatment. The outstanding awards, inspired by Thomas Edison’s persistence and inventiveness, acknowledge innovation and creativity in new products and services which comply with the strict quality criteria of the awards as judged by more than 3,000 academic experts. The new Neolith Mirage model has been given the 2018 Great Design Award in the Bathroom category by the US edition of the Architectural Digest magazine for its natural composition and richly texturized design, as well as for its resistance and low maintenance. Once again, Neolith has been recognized with a Muuuz International Award. The 2018 Award was received for the all-new Krater model, which was chosen in the “Materials” category. Previously, the Calacatta, La Bohème and, more recently, the Nero Marquina models won this award due to the outstanding technical and aesthetic characteristics of Neolith Sintered Stone. For the third year in a row, Neolith was recognized with a Muuuz International Award (Miaw). This time, it was for the all-new Nero Marquina model. One of the great proposals presented in 2017, it stands out because of its elegant design and innovative technique and applied technologies. Neolith has again received the Architectural Record. This time, Neolith Zaha Stone was the winning model. This is the first award to be received for this design, which is a contemporary reinterpretation of Pietra grey marble from Iran. The newspaper La Razón has distinguished Neolith with its 2017 Technology and Innovation Award as part of its 1st edition, recognizing it as one of the most innovative products on the market during the year. The Neolith Verde Legenda model received an AD Great Design Award. The award, which is granted by the famous magazine Architectural Digest, recognizes its design and technical features. Readers Choice magazine has chosen Neolith as one of the Top 50 best architectural products in 2017 due to the innovation and its excellent physical-mechanical properties. Neolith once again received the Kitchen and Bath Business magazine’s Readers Choice Award forKitchen Countertops. The famous awards granted by the magazine K+BB acknowledge the best kitchen and bath design brands. The Enigma project was recognized with the important 2017 Interior Design Best of the Year Award in the restaurant category. The well-known awards were announced in New York after receiving more than 2,000 entries among 113 categories including Restaurants, under which the new Albert Adrià restaurant designed by RCR Arquitectes with an exclusive Neolith model developed especially for this ambitious project was recognized. Neolith Nero Marquina wins the 2017 Kitchen and Bathroom Design Award. The prestigious awards recognize the most extraordinary designers, this time highlighting the high quality and level of detail observed in the Nero Marquina model, a design known for its pure white veins on an intense black background. Due to its innovation, quality and surprising design, Neolith La Bohème received the Plus X Award. For the second year in a row, Neolith was acknowledged with this prestigious award for the extraordinary design of the different materials. This time, it went to the La Bohème model since it is a faithful interpretation of this noble wood both for the eye and touch because a real texture is achieved with our NDD (Neolith Digital Design) technology. Due to its “quality, excellent environmental sensitivity and awareness”, NEOLITH® received the Sustainable Product award from the magazine Interiores. These awards were established three years ago to recognize the talent, mastery and effort of the best creators, companies and products of the year related to the world of Design and Interiors. Neolith was named a “Sustainable Product” at the “Building the Future” workshop organized by Infoprogetto in Bolzano (Italy), distinguishing its quality, excellence, sensitivity and environmental awareness. It’s a 100% natural and recyclable product that combines an attractive look and sustainability. Handed out in Cologne (Germany), the Interzum Awards recognized the design and innovation of the Neolith Nero Marquina model because of its extraordinary similarity to natural stone and considering criteria such as functionality, quality of the material and sustainability. After having received a first Red Dot in 2015, Neolith was again awarded this important industry prize which recognizes the most revolutionary product designs in the world. This time, it won the award with the all-new Nero Marquina model because it successfully replicates the original design with pure white veins on a black background which can be obtained by using the latest applied decoration technologies. Neolith Italy received first prize for the “Most Innovative Product” from the “Il Futuro dell’Edilizia” workshop at Hotel Ramada Naples in Naples. This new recognition reinforces the shared desire to offer an innovative solution for the market with high technological and design content. Each year, KBCULTURE selects an exclusive ensemble of Kitchen and Bath products and chooses the most outstanding ones in this category to include them in its Annual Awards Program. This year, KBCULTURE selected the Neolith model Calacatta Gold in the Surfacing category for the 2016 KBCulture Awards to acknowledge its esthetic excellence and technological innovation with this type of application. Organized by IDC (Interior Designers of Canada) and Informa Canada, the Innovation Awards recognize the latest and most innovative product designs as well as the creativity of the booths exhibited at IIDEXCanada. The Innovation Awards are judged by representatives of the specialized design and media communities. At the 2016 IDC Innovation Awards, Neolith won a Silver Award for the first time ever. La Bohème was recognized with the Product of the Year award by Architectural Record. Each year, a panel of industry professionals selects the best architectural products based on criteria such as innovation, usefulness and esthetics. In 2016, they selected Neolith La Bohème as an innovative product in the category Finishes and Paneling. The Neolith Polished finish was recognized with the MATERIALICA Design + Technology Gold Award in the category Surface and Technology. This innovative finish stands out due to the immense shine and perfectly linear reflection, which is similar to the natural finish seen in marble and precious stones, to depth, realism and sophistication to any design. The Neolith Polished finish received the prestigious Plus X Award in recognition for the Innovation, Quality, Design and Functionality of different brands. The awards are granted for the most innovative technologies on the market as well as for extraordinary design and smart operating systems, also considering other criteria such as the environmentally-friendly and sustainable characteristics of each product. The Product Innovation Award granted by Architectural Products recognizes innovation in the development and distinction of construction products ranging from paneling systems to interior finishes. For the third consecutive year, Neolith won the PIA’16 – this time, in recognition for its revolutionary finish Polished. Organized by ArchiDesignClub in association with Muuuz and the architecture magazine D’a, the MIAW Awards recognize the esthetics, originality and technical excellence of various products and projects. To select the winners, the Muuuz team studied more than 2,500 outstanding products in the sector divided into 7 categories covering Construction and Architecture Design, Lighting, Panelingand Materials. The annual top design competition which pays homage to the best designers, architects, engineers, design firms, brands and companies covers design all over the world. 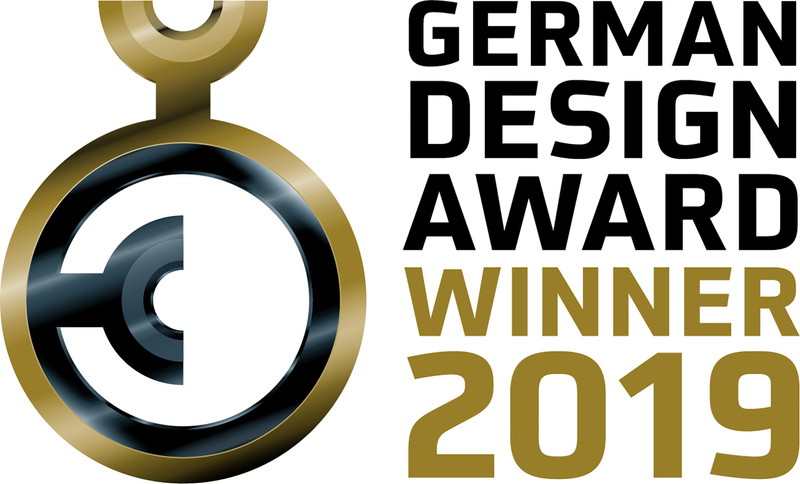 The Bronze A ‘Design Award is a prestigious award given to only 10% of all designs offering exemplary design quality. The panel (comprised of academics, professionals, companies and members of the Focus Group) rewarded NEOLITH® with the bronze A ‘Design Award in the category Construction Materials, Construction Components, Structures and Design Systems. This important prize in the design world is also known for its select rating system. Neolith received the award: BEST OF HOUZZ 2016 in the Design category. The awards are granted by Houzz, the leading online design and home renovation platform in the world made up of an international community of individuals and professionals. The BOH Design award is given to the most highly-valued and most popular professionals as decided by the 35 million unique users who visit Houzz each month. This time, Houzz users chose the images of the Somosaguas project in Madrid designed by Marcio Kogan, as one of their favorites since it was one of the most highly-shared globally within the community. For the most recent edition, more than 400,000 votes were received from the public from more than 100 different countries to determine the winners in each category. NEOLITH® Calacatta received the most votes in the Materials category. “Red Dot Award: Product Design” is an international competition that evaluates the best products of the year with help from a panel of experts with manufacturers and designers from all around the world submitting their latest products. The Red Dot Award – Product Design is one of the most recognized and distinguished competitions. This year, 4928 innovative products were submitted to the panel comprised of 38 experts including star designer Jimmy Choo; Dr. Sascha Peters, a materials expert; the founder of Mandarina, Martin Darbyshire from the United Kingdom; as well as the German professor and product design icon, Werner Aisslinger. The Neolith by TheSize Calacatta model was granted the prestigious award Red Dot: Product Design 2015. The panel acknowledged the innovation and excellent design quality of this unique decoration that offers an exclusive and delicate design of luxury white marble – Carrara, which also combines the high-tech properties of Neolith Compact Sintered Surface. “Kitchen and Bath Business magazine’s Readers’ Choice Awards” recognizes the best kitchen and bath design brands. The magazine K+BB, along with the platform kbbonline.com, promote voting among their readers and those attending the Kitchen and Bath Industry Show in Las Vegas (USA). For the third annual edition, Neolith by TheSize was awarded this Prize in 3 categories as the best material for: This recognition proves the excellent investment made in research and technology to develop Neolith and that it is the longest-lasting, most sustainable and most hygienic paneling brand on the market today. The annual “Muuuz International Awards” (Miaw) are organized by ArchiDesignClub in collaboration with Muuuz, the trends and inspiration magazine for architects and designers, which is present in more than 20 countries throughout Europe as well as in the United States. For almost a month, nearly 22,000 architects, designers, interior designers and specialists were consulted to identify the best innovations in Architecture, Design and Decoration. Finally, the Neolith Calacatta model won in the Tiling category as it replicates real marble and features the durability properties of Compact Sintered Surfaces. The “Architectural Product Innovation Awards (PIA)” determine and recognize innovation in the development of commercial construction-related products. Judged by a group of 50 industry independent professionals, the awards aim to highlight the latest and best products available to builders, architects and designers. The innovations by Neolith have been acknowledged once again. This time, they were granted the Award because of their revolutionary system, design and technical features. “Architectural Record Products Awards” is the award granted by the American magazine Architectural Record in recognition for the best and most original products in the residential home building sector (from lighting to facade surfaces). More than 500 products are assessed by 6 top New York architecture professionals considering criteria such as innovation, usefulness and esthetic appeal. The Neolith Classtone Collection was recognized with this award in the “Finishes and Surfaces” category for its “low maintenance and hygiene surface” featuring a natural composition and surprising marble-inspired design. The “Architectural Product Innovation Awards (PIA)” determine and recognize innovation in the development of commercial construction-related products. Judged by a group of 50 industry independent professionals, the awards aim to highlight the latest and best products available to builders, architects and designers. Neolith was recognized by the magazine Architectural SSL, with the 2014 Prize for Product Innovation in the “Best Surface” category. The “Compass Rose” project by Beyond Surfaces at the Bay Centre shopping mall in Victoria (Canada) using Neolith, received the FCI Installation Award for Tile/Stone. The Spanish Ceramic and Glass Society “Alfa de Oro” Awards distinguish products, processes, machinery and equipment in the ceramic and glass sectors that stand out due to their technological and/or artistic innovation as well as for their functionality and usefulness in bathroom and kitchen fittings by companies participating in Cevisama. Diamond Glass received the prestigious “Alfa de Oro” Award at the 38th edition of Cevisama in 2014 in the “Bathroom and Kitchen Fittings” category for which a large-format product like Neolith was curved for the first time ever. Specifically, a sink and shower tray were curved using the Textile White and Iron Corten models. This innovation means shower trays may be directly built into the floor to reduce the cleaning and maintenance needs to a minimum. They are also more durable and have better antibacterial properties. Thus, Neolith proves to be a product with great properties that can be worked with the utmost guarantees for bathroom applications as well. The annual competition organized by the Kitchen and Bath Industry Show demonstrates the best of the kitchen and bath sector. The winners are selected based on quality, functionality/durability, demand, esthetics/style and innovation. Neolith won the “Best of KBIS Winner 2012 Award” in 2012 for its stand displaying its large format, minimal thickness and extraordinary technical and mechanical characteristics.